OMG seriously, I can’t believe Spring is here already! What tha!?! Were we not just in the dead of Winter? I’m not complaining at all though…just crazy how it totally snuck up on me this year. Normally I’m counting down the days for warmer weather and baking all kind of summery dishes. The weather has been fabulous here in NC so I just knew I was gonna get to pull out the grill today. Y’all I promise as soon as I went looking for the charcoal, here comes the thunder and rain! There went our grilled hamburgers for lunch! Oh well, since I was due for a video I thought I’d make these delicious roasted chicken bites instead. Gosh I love these little cuties! If you’re from the south then you know all about Bojangle’s fast food restaurant where they serve some pretty darn tasty (or at least I think so. Hubby not so much.) roasted chicken bites. This is my take on those versatile roasted chicken bitesf. I normally make these chicken bites to throw in a salad, fried rice, chicken skewers, chicken fettucini, etc. but they are so good to just snack on as is. They are flavorful, tender and juicy! 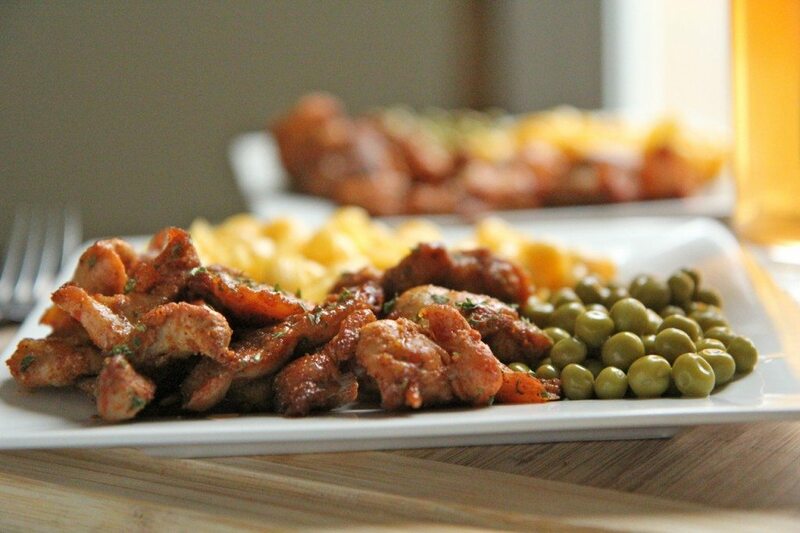 I use chicken thighs because I love how tender the meat is. And because chicken thighs are on the thinner side it doesn’t require a long marinating or cooking time. 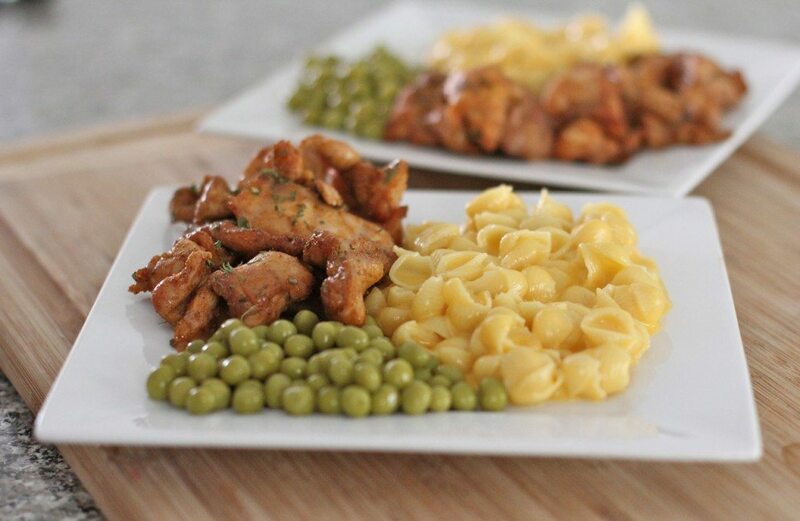 I whipped these roasted chicken bites up for lunch and served them with a side of creamy mac & cheese and sweet peas. Oh yeah and of course some “swait” tea! I’m just now realizing I forgot the yeast rolls I had in the freezer! 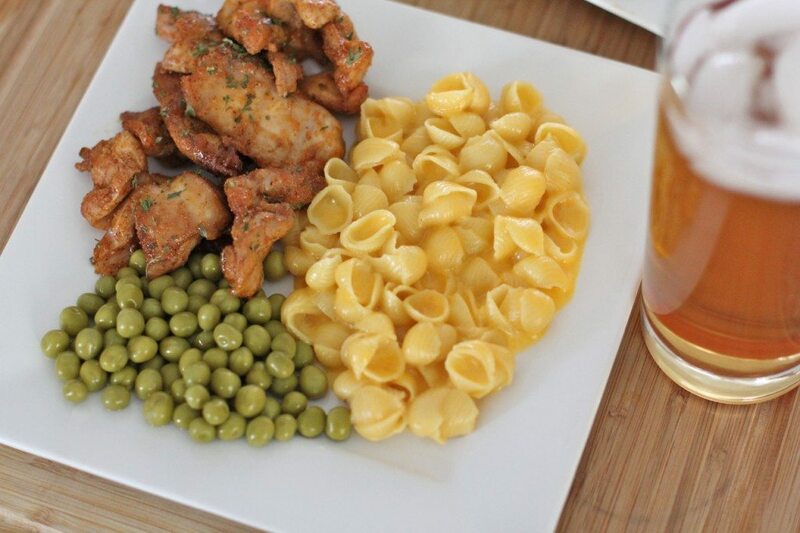 Dang those really would have set this meal off! 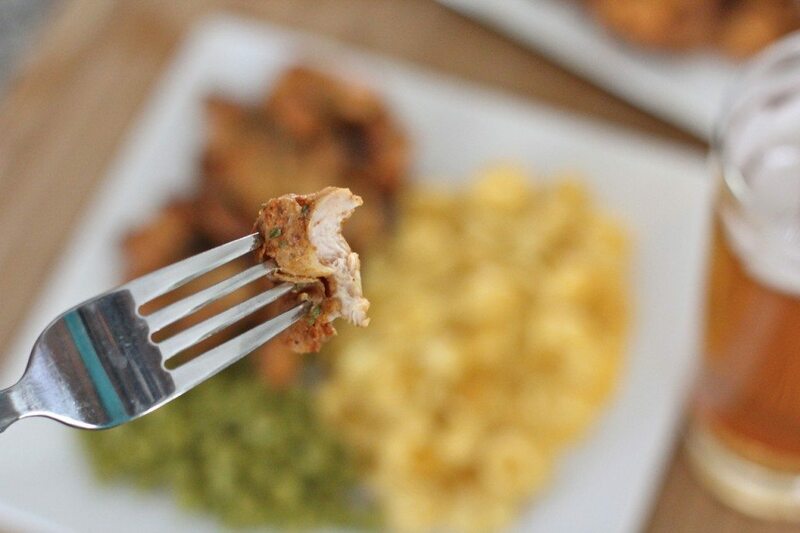 Watch me make these roasted chicken bites from start to finish! 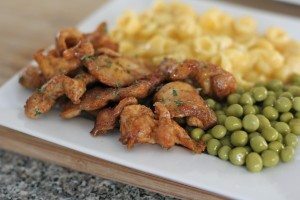 Cut chicken thighs into bite sized pieces. 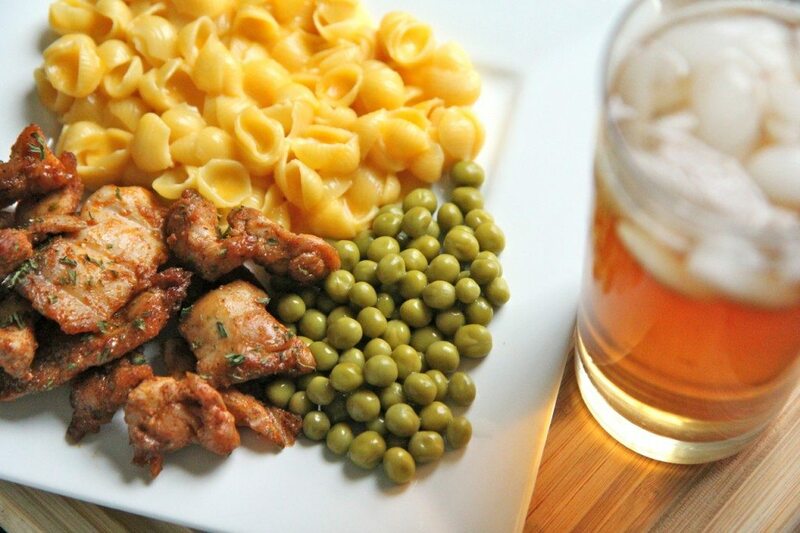 Toss chicken in olive oil until pieces are lightly coated. 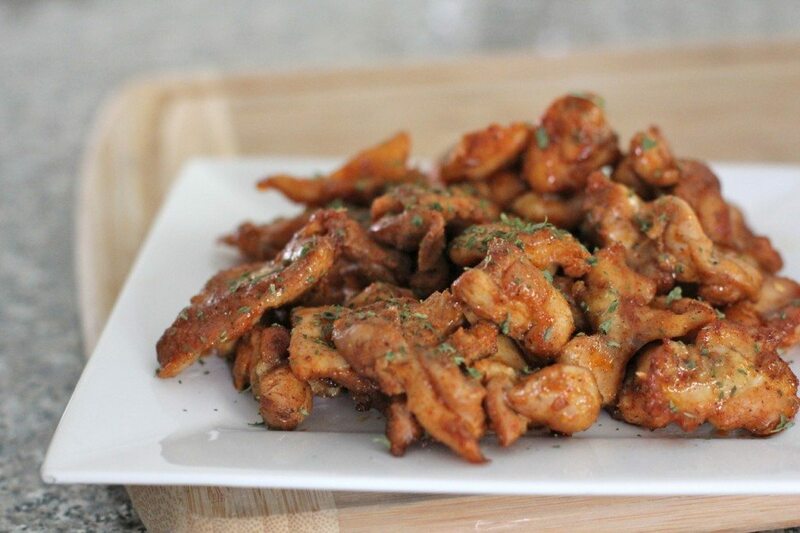 Arrange chicken bites on a grill pan. Mix together honey, worcestershire sauce and apple cider vinegar. Brush again with honey mixture. Roast for another 5-7 minutes and brush again with honey mixture. Do you think these would turn out just as delicious as chicken breast bites? This recipe is absolutely delicious!!!! I followed the recipe exactly, except I didn’t have smoked paprika or smoked salt, so I used regular and I added a little cumin (just cause it kinda has a smokey flavor) and the chicken was moist, full of flavor, and the honey glaze…I think I will use the glaze for my other chicken recipes as well!! My four boys devoured it, and asked for more the next day. I will definitely add this to my weekly rotation. Thanks!! !